dLearn.org - The Open Distance Learning Directory. Feel free to add resources: organizations, LMS and courses. Let's make distance learning easier for everyone! How has distance-based learning changed through the ages? It is clear that just as technology has changed, so many other facets of our lives, so too it is rapidly changing the experience that our children are having in school. Once the province of homeschoolers, distance learning – that is learning via computer – has entered the mainstream in districts across the area. Classrooms, where once there was only a teacher illuminating concepts with a whiteboard, there are now classes filled with students blogging, Skyping and enjoying rich educational experiences with others halfway around the world. GERMANY, BERLIN. Students can apply now for the Distance Learning Programme "MBA Renewables". In October 2011 the Beuth University of Applied Sciences Berlin, in cooperation with the Renewables Academy AG (RENAC), will start a new Master of Business Administration (MBA). The “MBA Renewables” will be the first distance learning programme worldwide with the opportunity to obtain a Master of Business Administration degree with a focus on renewable energy and energy efficiency. MIAMI — Minister of Education, Hon. Andrew Holness says distance learning will be the choice of many more students to achieve tertiary level education in the future. On picture: Education Minister, Hon. 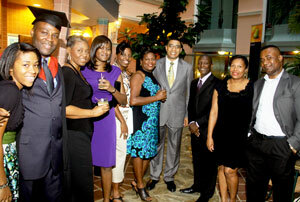 Andrew Holness (fourth right), with Caribbean graduates of the distance learning programme in management studies from the University of Leicester (satellite programme), at a graduation ceremony, in Fort Lauderdale, Florida, on June 10. The Open University will be offering up hardware to its programming students as part of a shake-up of its computing curriculum. The distance-learning institution's new computing and IT degrees place more of a focus on work-based, vocational principles than theory. Students will get credit for previous work experience or accreditation, in the hope that companies will be more likely to pay for their staff to study on the OU's courses.